Things not to read on transit: “Seinfeldia.” Unfunny book on a very funny television show. The list of gold medal winners — accompanied by their gold medals — includes Mark Spitz, Shirley Babashoff, Rafer Johnson and Lisa Fernandez, among many others. The SGV Trib has the full list. Come on out and get your picture taken with those who have earned gold. The op-ed looks at some different items headed to the ballot this fall, including Metro’s ballot measure asking L.A. County voters to consider a new half-cent sales tax and extension of the Measure R sales tax beyond 2039. Add “Expenditure Plan Major Projects” and “Multi-Year Subregional 31 Programs” to the Expenditure Plan by a two-thirds (2/3) vote so long as such additions do not delay the Groundbreaking Start Date, Expected Opening Date, or amount of Measure _ 2015$ funding of any other “Expenditure Plan Major Project” or “Multi-Year Subregional 15 1 Program.” No “Expenditure Plan Major Projects” or “Multi-Year Subregional Programs” may be added to the Expenditure Plan except through the decennial process described herein. •SB 743 was signed into law in 2013 and it did change the way that TODs are studied and approved. It does not, however, provide carte blanche for new TODs to sprout just anywhere — there are still requirements that must be met. That includes that the TOD must comply with local zoning laws. This page on the state website is a good resource for explaining those changes. 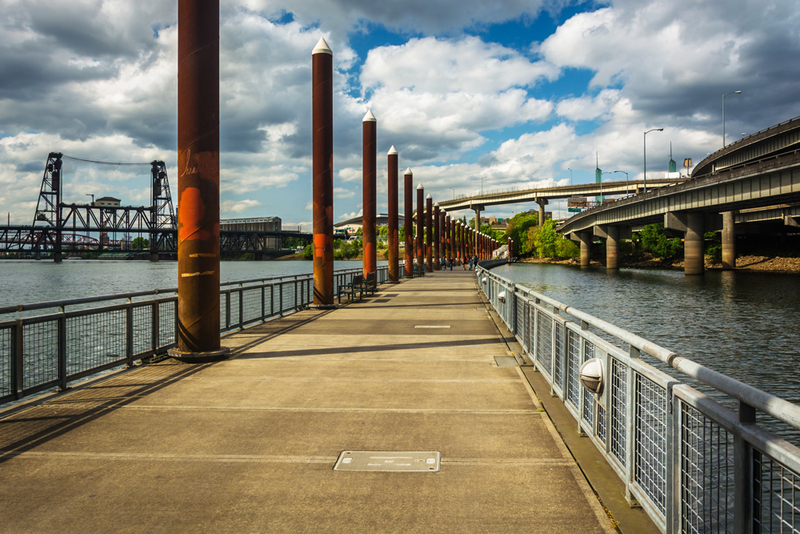 The largest city in Oregon is one of the friendliest bike cities in the U.S. But they just launched bike share last week after a few years of ups-and-downs during a search for the right system. The pricing is a little different than what we have with Metro Bike Share’s program — and Portland was able to secure Nike (based in neighboring Beaverton) as a sponsor. A 30-minute ride for walk-ups is $2.50 versus $3.50 here (although that will be discounted to $1.75 until Oct. 1) and there is a $12 day pass. Also, Portland allows users to return the bikes to any public bike rack in the bike share service area for an extra $2 fee — a way to make the system more convenient for those willing to pay. It will be interesting to see how the system does. It helps considerably that Portland has no shortage of bike lanes, bike-friendly streets and bike paths in and around downtown. Views of different parts of the 32-kilometer “Little Belt” railway. Credit: city of Paris. There are many miles of a long-defunct rail line available for conversion to parkland.